For the sake of refreshing your tired, creative mind in as we approach winter, here are my picks for this week! Take a close look at these images...they are made using an app called Echograph. I see this catching on quick. A book about the surge of digital printing onto textiles in the fashion industry. Sounds like a great opportunity for digital artists! Whitney Carter talks art fairs and Chicago's art scene. Darryll and I recently attended a "Digital Self" seminar at the Chicago Artists Coalition. Here's a great summary of what we learned. I always thought that art is so important for children. Here's one mom who's doing it right and the outcome is quite amazing! This month we wanted to bring you another musical artist that we all enjoy here at the studio. I heard about her through Darryll, who heard about her through his daughter, Lauren. 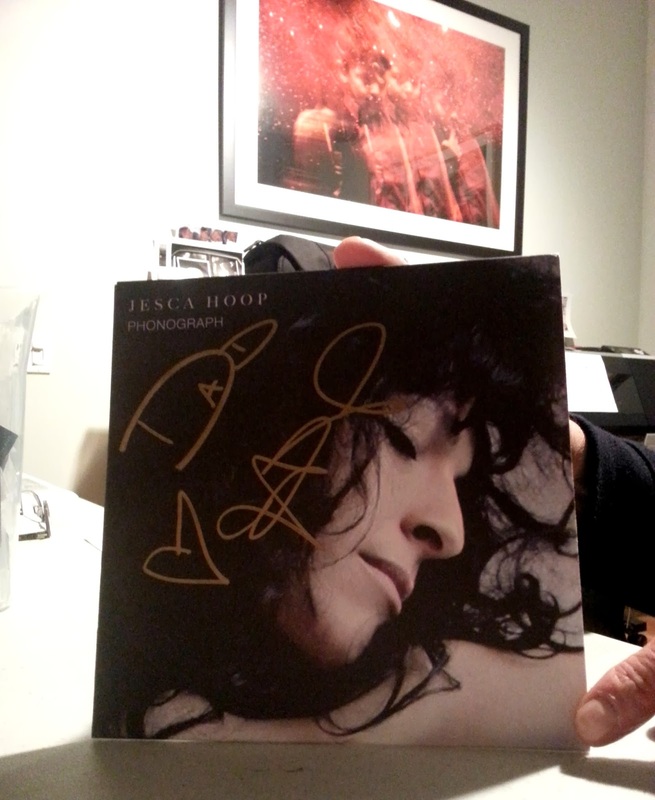 She is singer/songwriter, Jesca Hoop. When introducing others to music that I enjoy, I'm likely to try to compare them to other artists. However, I find it next to impossible to make such comparisons in this case. She has a truly unique sound that is haunting, yet sweet. Her voice complements the ethereal music in the background, creating a chorus of sounds that you're likely to hear deep within a mystical forest. We openly welcome Hoop's surreal sound to burrow into our creative hearts, to grab at everything melancholy and bittersweet, and to let those feelings surface. For her more upbeat songs, the sound is less dark and more childlike and playful, which creates a nice balance. So, for a great example of all that her music has to offer, check out the music player below. 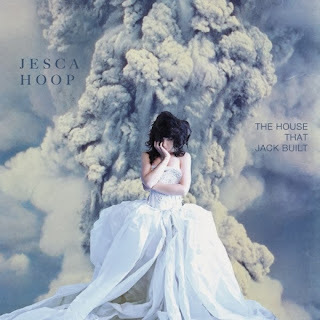 Jesca Hoop is truly one of a kind and her newest album, The House That Jack Built, only further proves that she is continuing to do her own thing and defining her own art. 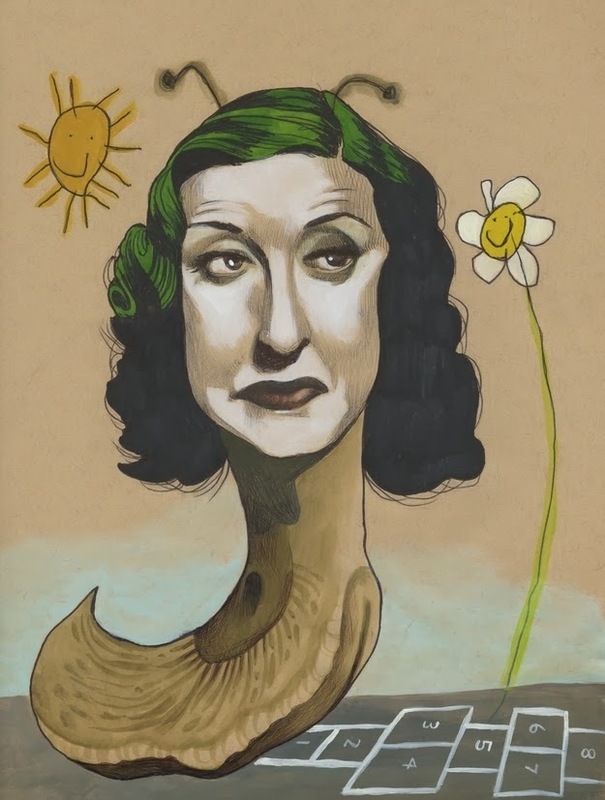 Here's a new trend we're starting at DSFA…a weekly roundup of art &design-related links, leading to articles, images, news, etc. There's a lot of information out there, let us break it down for you! We'll share with you ideas and notions that we find interesting, inspiring, or even upsetting. Here's our (small) list for this week! Enjoy. Would you ever wear this "invisible" bike helmet? Could save a lot of lives, considering the number of people that won't wear a helmet due to…fashion concerns. 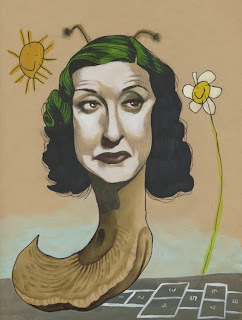 Ever find yourself confused with the terminology that comes with the art world? Never fear, Robert Atkins has created a guide to help you decipher exactly how we are defining art today. Artist Daan Botlek creates street art that is detailed, yet simple. You would definitely have a double take passing these on the streets of Germany. We have implemented a new way of organizing here at DSFA…and it's FREE. Asana is a lifesaver for those with post-its littering their workspace. Plus, did I mention it's free?! Apparently this is a thing…photographer Perttu Saksa captures the street performing monkeys that are dressed up as dolls. Um…beware. That is all this week! Share with us some links that you've found interesting lately!